The Cottesloe Reef Fish Habitat Protection Area was created in recognition of the popularity of the reef ecosystem and its vulnerability to increasing human impacts. 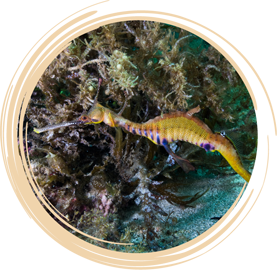 The Fish Habitat Protection Area (FHPA) provides habitat and shelter for a wide variety of marine life, including fish, shellfish, crustaceans, common seadragons and the rare leafy seadragon. The Cottesloe Reef FHPA encompasses the coastal waters of the Indian Ocean and includes the Cottesloe Reef system, from North Street Cottesloe to the southern boundary of the Town of Mosman Park and westwards 800 metres from the high water mark.